Michelle Bottalico is an American photojournalist and photographer who is now living in Turin. Her interest in photography developed from this passion for art and from watching her parents and grandfather take and develop photos in the darkroom. 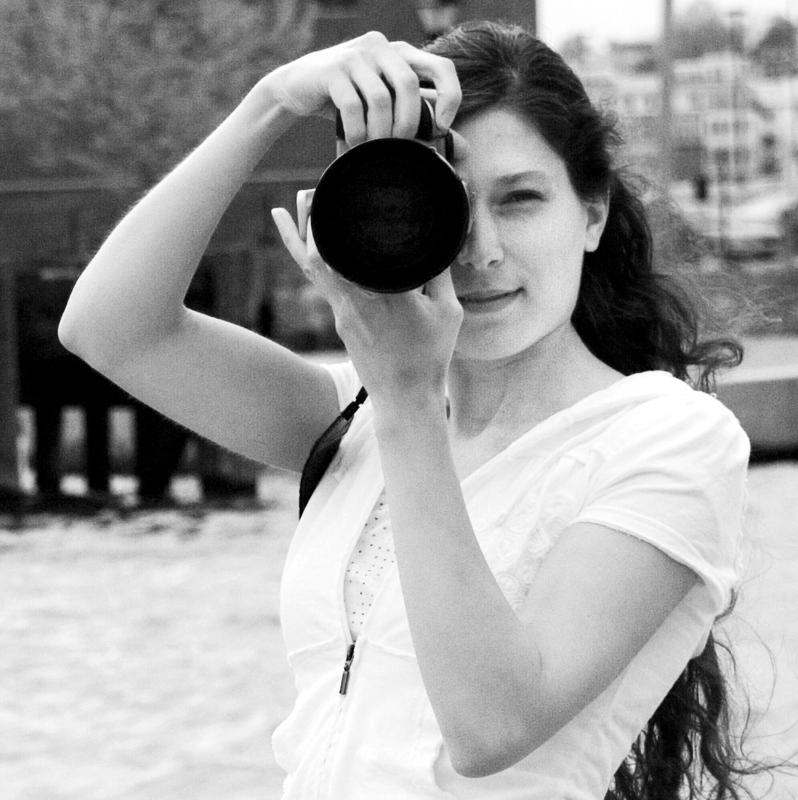 After graduating from college, she decided to embark on a photography career and worked as a newspaper photojournalist and wedding and family photographer in the Philadelphia area for a few years before leaving everything to travel all around Italy. Italy made such an impression on her that she decided to stay and now shoots child and family portraits and weddings here in Turin as well as photographing her travels, Italian life, and the scenery around her whenever she can. 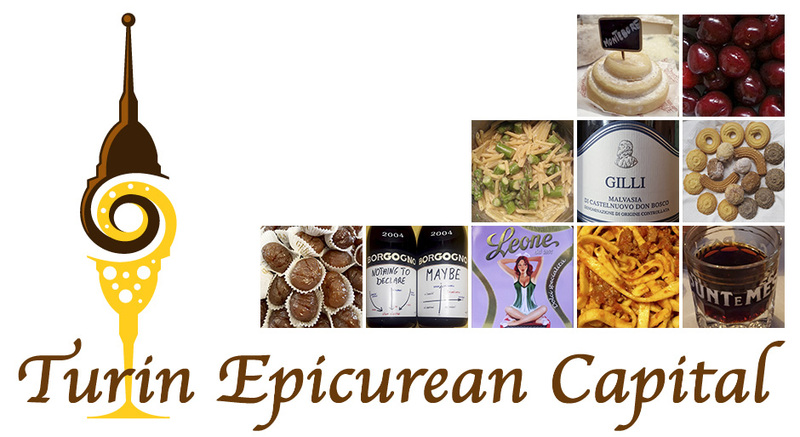 Michelle will take part to Turin Epicurean Capital 2015 with a photo exhibit at Collegio San Giuseppe which will be presented on Tuesday July 21 at 4pm. Michelle's exhibit will be open from July 21 to July 23. 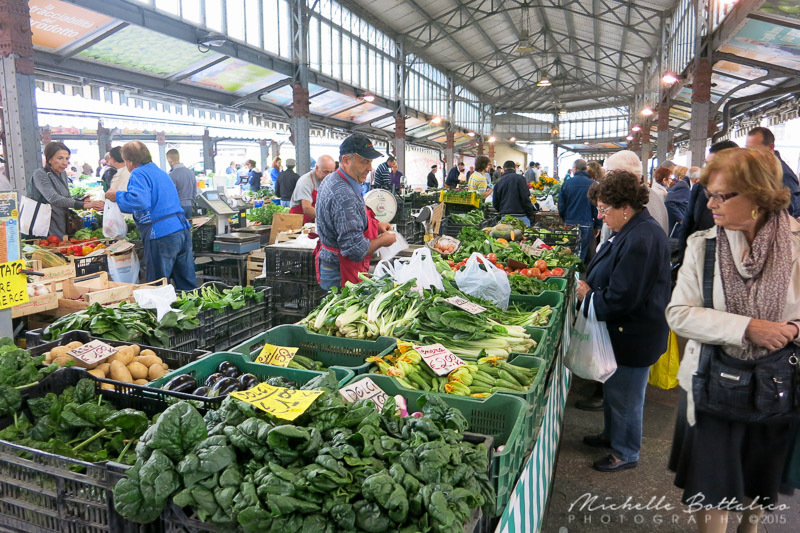 Michelle's ten reasons to visit Turin! 1. 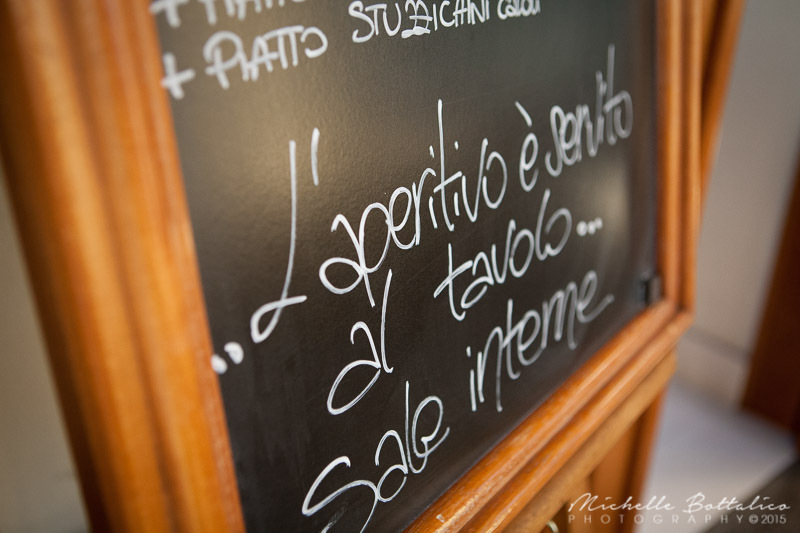 The Aperitivo: the word aperitivo means 'appetizer', but going out for an aperitivo is more than just snacking before dinner. It means going to one of the countless bars in the city that, for a few euros more than the price of a drink, offers patrons the choice of any drink and a dinner buffet. The bars that serve aperitivo have different personalities, food offerings, and prices, and usually have a dehor, an outside seating area, which fills up quickly since the aperitivo is so popular in Torino. 2. 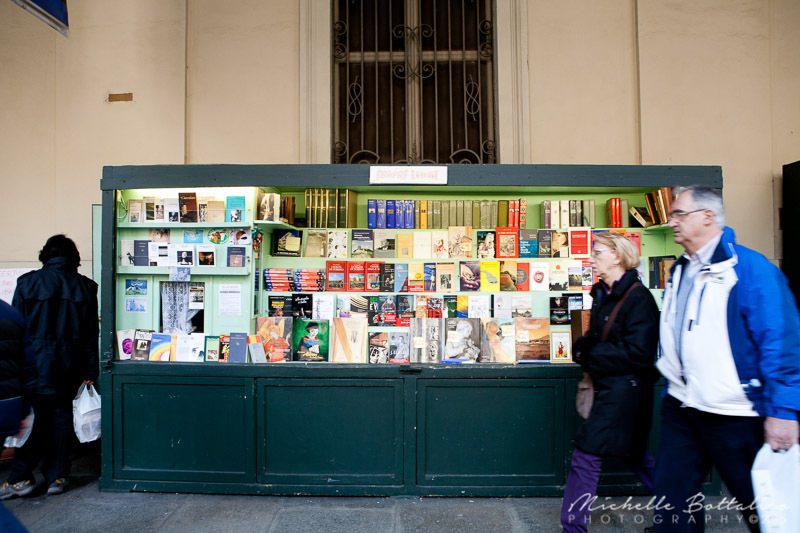 Used Booksellers: used booksellers' stalls line the covered walkways of Via Po, a main street that runs from the Po River to Piazza Castello, the main square. When I walk down Via Po I like the browse the titles that catch my eye. The city hosts various used book markets in other locations on certain days of the month. 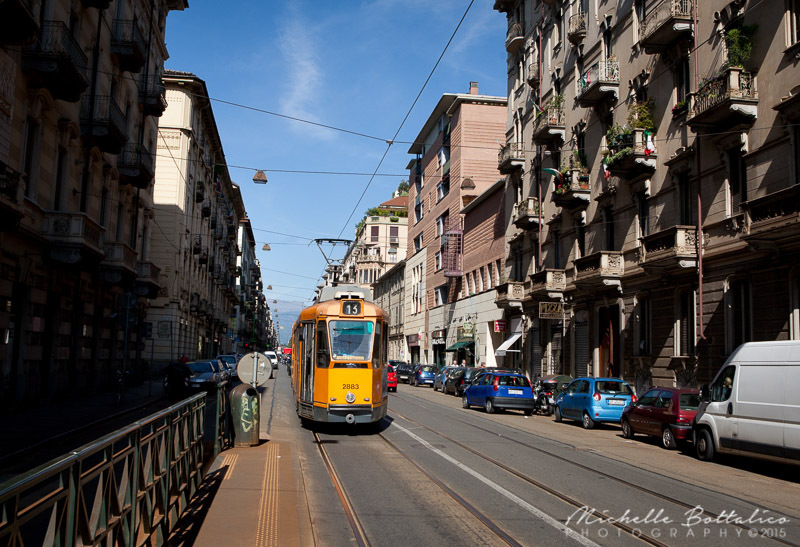 Torino is also home the the Salone Internazionale del Libro (International Book Fair). I personally like to patronize some of the nineteen branches of the public library for reading material. 3. 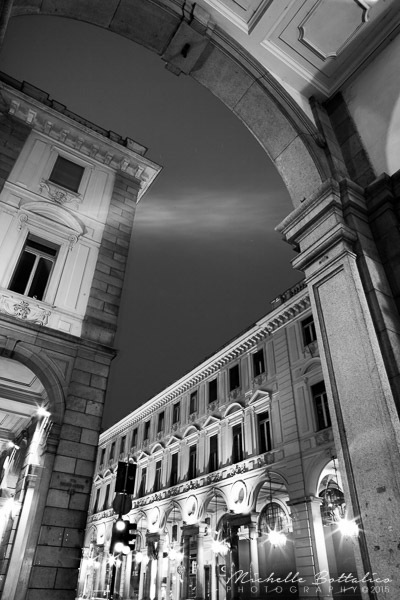 Porta Palazzo: this market, considered the largest open-air market in Europe, is located in Piazza della Repubblica. The two streets intersecting the piazza divide the market into four section, in which you can find plentiful fruits, vegetables, and myriad other food products (both in the outdoor and indoor sections), household supplies, clothing, and shoes. The amount and variety of fresh produce amaze me every time I go there, and I want to take everything home with me. My favorite part of the market is the Tettoia dei contadini (The Farmers' Canopy) where local farmers from Piemonte sell their own in-season produce. 4. 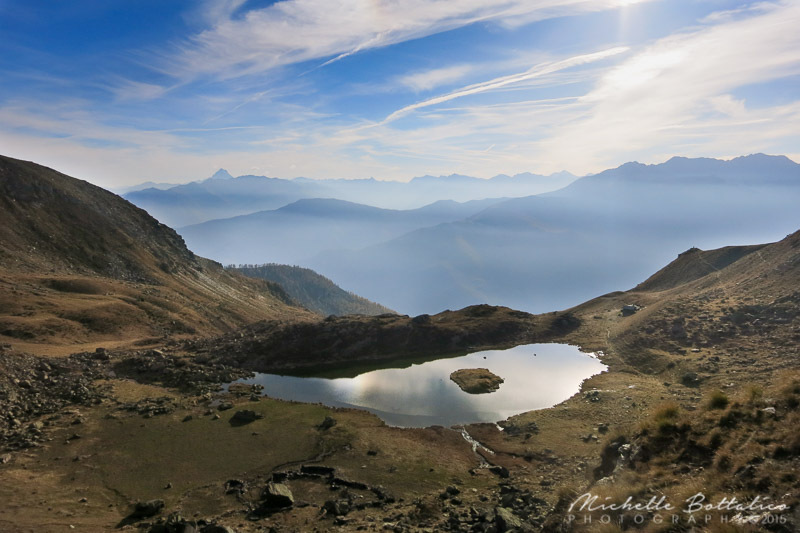 Proximity to the Mountains: Torino is located near the Alps and is in a good position for reaching many places for serious hiking, skiing, and relaxing in a cooler atmosphere. Locations at 2,000 meters (6,562 feet) of altitude can be reached by driving west for just one hour. 5. Public Transportation System: when I was traveling around Italy, the bus routes often confused me. I would have to talk to the driver or other passengers to figure out where I was. That is why I appreciate Torino's public transportation system, which is easy to navigate and well-marked. Most bus stops have a full-size map on the shelter wall showing the routes superimposed over a city map. Each physical bus stop is marked with a yellow sign listing every stop on the route, with the current stop highlighted so you know where you are. 6. 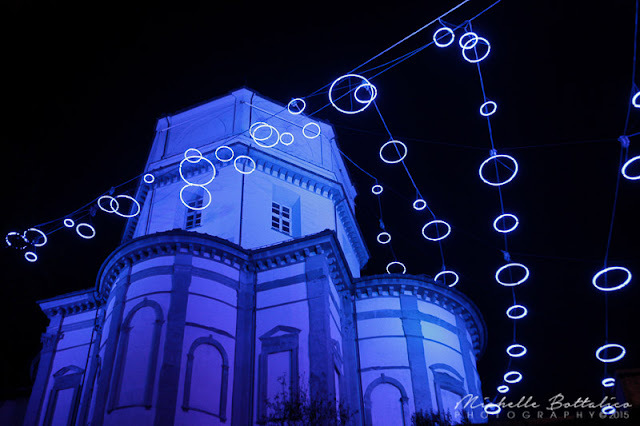 Luci d'Artista: for the past fifteen years at Christmastime, the main downtown streets have been decorated with imaginative light displays. Contemporary artists create colorful installations that span entire streets and hilltops and light up the night sky. They have romantic names such as "Little Blue Spirits," "The Flight of the Numbers," "Love the Differences," and "Us." 7. Breweries: The first brewery in Italy was opened in Torino in 1846, and by 1865 there were 114 breweries in the city. There are much fewer of them here now (only a handful). 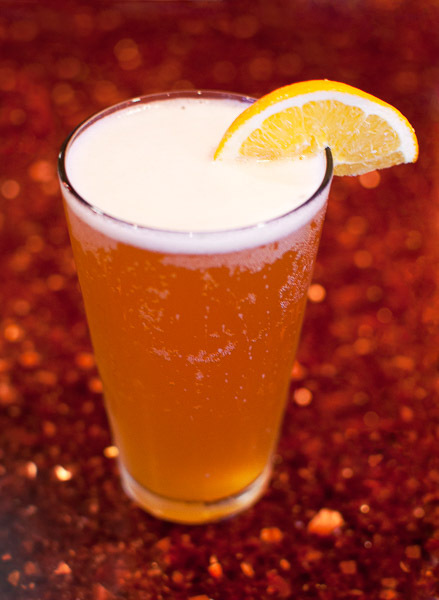 I like the experience of going out to one of those and tasting new and interesting beers. 8. 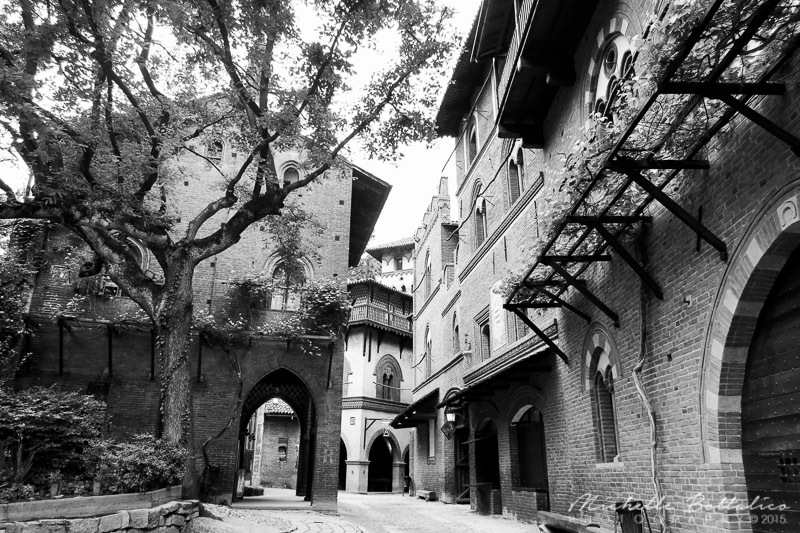 Borgo Medievale: At first one might feel skeptical about visiting an imitation medieval village, but I was very interested in the Borgo Medievale (Medieval Village) when I visited it for the first time. It was built for the 1884 Torino expo and replicates an average Medieval hamlet and castle from the Piemonte region in the 1400s. The village has one street with different kinds of buildings and spaces and even includes a downsized church. It is surrounded by walls and the entrance is through a drawbridge. I like strolling slowly through it, imagining what life was like at that time. 9. Rivers and Parks: Torino has four rivers and several large, green parks (and many smaller ones). 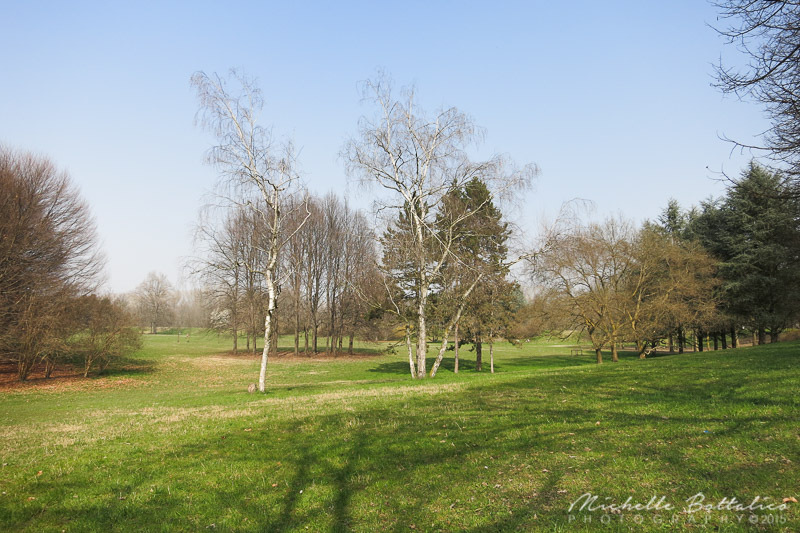 Some of the parks, like the Parco della Pellerina and the Parco Colletta, will surround you with nature and take you away from the noisy city. Others, like the Parco del Valentino, have attractions, bars, and events going on within them. Beside the Po River there is a path that people can walk along, which is down at river level below the city. I like having the possibility to go running or to take a walk among the trees and plants or along the river and forget the city for awhile. 10. Portici: Downtown Torino has eighteen kilometers (eleven miles) of portici (porticoes/arcades), which are covered walkways next to the city streets. They are beautiful from an architectural point of view, and they really come in handy for walking around the city when it rains! Follow Michelle on her blog Simply Italiana and website where you can admire her wonderful pictures! Great post and beautiful pictures! So sad not to be at Turinepi this year... I'll miss you all!